You are here: Home / Den Talk / Dropping Marsh (Sportsnet: Lefko) would be a bad move. Dropping Marsh (Sportsnet: Lefko) would be a bad move. Some pretty shocking stuff there and one could easily come up with most of that speculation based on last season. Yes Jackson had an off year, starting the season with a knee problem. Yes Brent Johnson isn’t getting any younger, but he started the season in a rotation role then became an every down player again when injuries took over and was very effective, showing he still had the leadership and skill to contribute. 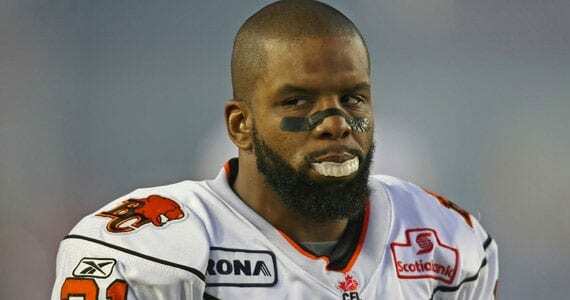 But the suggestion the Lions would be prepared to drop veteran cornerback Dante Marsh in favour of signing pending free agent Jonathan Hefney out of Winnipeg is a little puzzling. Lefko is correct about one thing, and that is that Wally Buono routinely releases veteran players each year. Part of keeping the team fresh and competitive has to involve turnover and the grooming of younger talent. But the team is entering a year when they are hosting the Grey Cup and too many changes may hamper the great momentum they started to gather as last season came to a close. Hefney is a talented player and is 6 years younger than Marsh, who is entering is 8th year in the CFL, all of them with the Lions. But would releasing Marsh be a good idea? Marsh is coming off a pretty decent year in 2010. He recorded 63 tackles, 1 special teams tackle and had 4 interceptions. He played hurt with a shoulder injury and remained a leader in the secondary along with teammates Korey Banks, Ryan Phillips and Davis Sanchez all of whom started mentoring the promising David Hyland. A pretty solid unit that a lot of teams would kill to assemble. Anyone who follows Marsh on twitter knows his commitment and work ethic are second to none. He has become a leader on the team and we here at BCLionsDen.ca know of his generosity in the community and how he represents the club with class. Not exactly the character Buono likes in his locker room. Good fit on the field, maybe…good fit in the locker room, not so sure. I’m not going to lie. I’ve got a lot of time and respect for Dante Marsh. I got to deal with him a little when he helped CFL Fans Fight Cancer by raffling off a painting of himself for the cause. That said, I also think he still has a lot to offer the BC Lions on the field as well. His experience and talents are still needed and Marsh still has more than a couple years of high level football to offer. If the Lions were to release him, he wouldn’t be out of work very long. Marsh is playing out his option year and the Lions did pay him a bonus that was due February 1st. To date there have been no reports of an extension being offered, while the older, non-import Davis Sanchez was extended through 2013. Of course as always the decision belongs to Buono and as the head coach and GM, he has to do what he thinks is right for the football team and these sorts of rumours often turn out to be just that, rumours. Let’s hope that turns out to be the case here.